Tip to owning your first boat by Harris Pontoon Boats. You just purchased your first boat, but wait, there's more! Well, for starters, you’re going to need to get it registered and insured. If you purchased a trailer with your boat, depending on your state, the trailer will require registration too. Some types of boats cost more to insure than others, depending on the type of craft, size, and horsepower. Where you plan to keep the boat can impact the cost of insurance as well. Sometimes it’s best to contact your insurance agent early on before you make that boat purchase for an insurance quote. Check out our article about Boating Safety, Rules and Regulations to learn more. 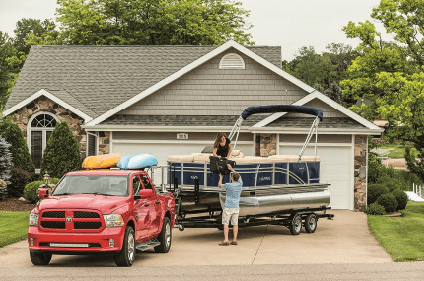 There are several things to keep in mind if you plan to trailer your boat besides whether you have a vehicle capable of the task. Also, have you considered where you are going to store your trailer while the boat is in the water for extended periods of time? Perhaps you will need to pay someone to store it for the summer boating season. Maybe you’re going to trailer your new boat every time you want to go out and use it. If so, not all boat launches are free to the public. Many lakes have private launches where you either must pay an in/out fee or purchase a season pass. Additionally, if you are trailering your boat every time, you’ll need to consider the cost of trailer maintenance like new tires. We must all do our part to help prevent the spread of invasive species (Click Here to Learn More). Should you find trailering your boat every time to the water isn’t for you, there are other options. If you don’t have your own dock, keeping your boat in a slip may be an option, but that’s going to be an additional fee. 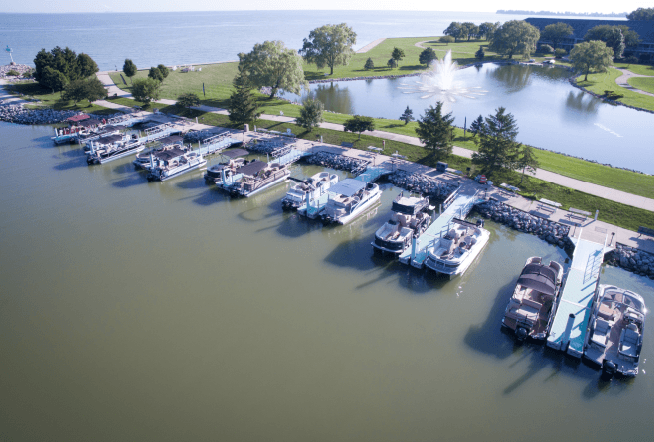 Did you know certain marinas have various choices for boat slips? Some marinas offer covered slips, which will extend the life of your mooring cover, but they charge a premium compared to open slips. Other marinas even offer hoists or boat lifts that will help keep your boat from becoming grimy from sitting in the marina. There are also marinas and harbors that lease or sell slips, like real estate. Did we mention spiders love to hang out around the boat slips? You’ll want to invest in some good spider spray or you’ll constantly be cleaning up their mess. Ask other boaters on the lake about how they keep their boat and which marinas they recommend. You’ll find a lot of friendly people out on the water with plenty of information to share. Be sure to familiarize yourself with your state’s boating laws. It may even be a good idea to take an online boating safety refresher course (https://www.boatus.org/courses/). Your state’s Department of Natural Resources (http://www.americasboatingcourse.com/lawsbystate.cfm) or the USCG (http://www.uscgboating.org/regulations/state-boating-laws.php) website are good sources to start researching. You’ll probably find yourself in need of some new gear for your boat. Most states require life jackets, a throwable device, an anchor, a fire extinguisher and a skier flag in addition to other safety equipment. 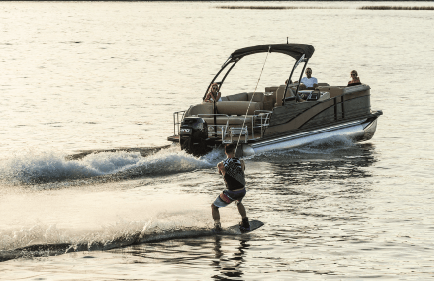 Your local marina can usually assist you with selecting the proper safety equipment, but there are many online retailers that can help as well. You’ll probably find some cool new water toys that you “have to have” while you’re at it and that’s okay. Now that you’ve had a chance to enjoy your new boat, it’s time to start thinking about maintenance and off-season storage. Always consult your boat and engine owner’s manuals for service interval recommendations. It’s best to leave the maintenance and service to the technicians at the dealership while your boat is under a factory warranty. Also, there are certain procedures that must be followed before putting your boat into storage for the off-season. “Oh wait! Where am I storing this thing for the winter?” Well, there are several options to consider depending on your budget and type of boat. Firstly, let the marina take care of the service and the storage each year and you won’t need to own a trailer. They may offer indoor/climate controlled or outdoor storage options. Sometimes you can negotiate this ahead of time when purchasing the boat. Secondly, if you have a trailer, you can pay someone to store it in their pole barn or have it shrink-wrapped and stored on their lot--check Craigslist. Thirdly, maybe you have plenty of space, but no trailer. Sometimes you can rent a trailer and set the boat down on your lot. There are plenty of mobile shrink-wrap service providers out there. You’re probably noticing a trend that there are a lot of options for Winter storage. Ask your dealer or your new boating friends for suggestions if you can’t decide. 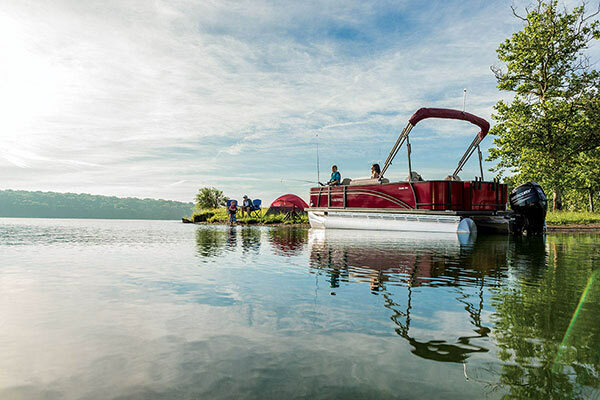 You’ll find that there are many more things to be considered and purchased after buying a boat, but that’s partly what’s fun about owning a boat. You’re in an elite group now and you’ll make new friends who will be more than willing to share their information and tips with you along the way. Remember, boating is fun!